Gossip Girl. Photo: Giovanni Rufino/©2011 WARNER BROS. TELEVISION. ALL RIGHTS RESERVED. 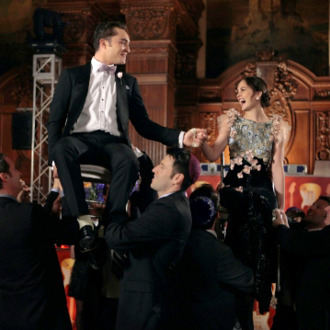 The CW is giving Gossip Girl obsessives reason to celebrate: The network has just announced plans to produce 24 episodes of the greatest show of our time, two more than the usual 22-episode order (but one less than season two, when 25 episodes were produced). Hoping to limit the number of low-rated repeats on its air, the CW is bulking up episode counts on most of its big shows, adding one or two episodes of series such as 90210, Nikita, and Supernatural. The CW’s top-rated show, The Vampire Diaries, won’t be getting any extra episodes, however. Network chief Mark Pedowitz said he asked showrunner Kevin Williamson for more, but the producer didn’t think it was possible. Meanwhile, Pedowitz is also dropping the CW’s ban on half-hour comedies, telling critics that the network will once again take pitches for potential sitcoms.